This Swarovski crystal heart decoration can be hung from the rearview mirror, in a window or anywhere that could use a little sparkle! 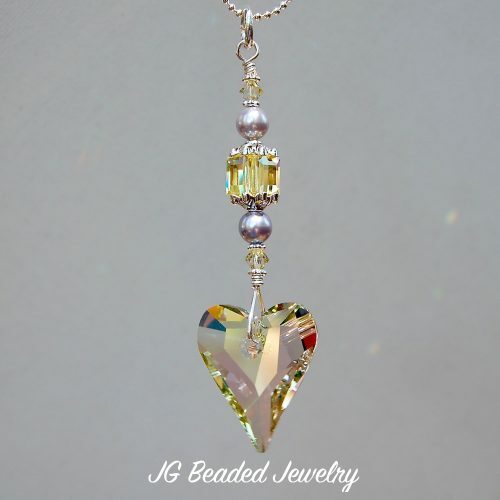 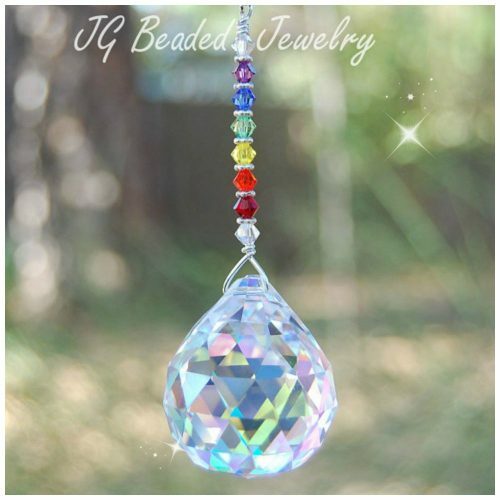 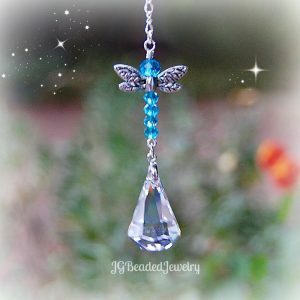 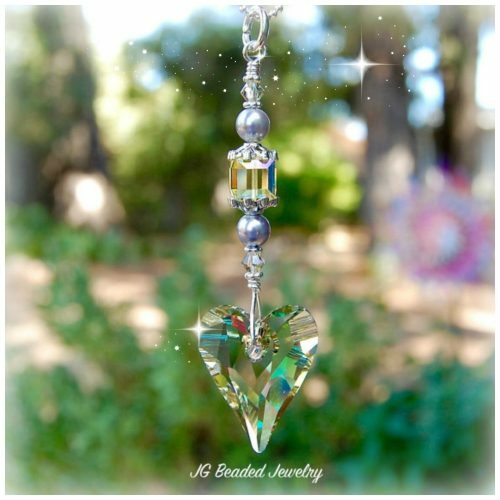 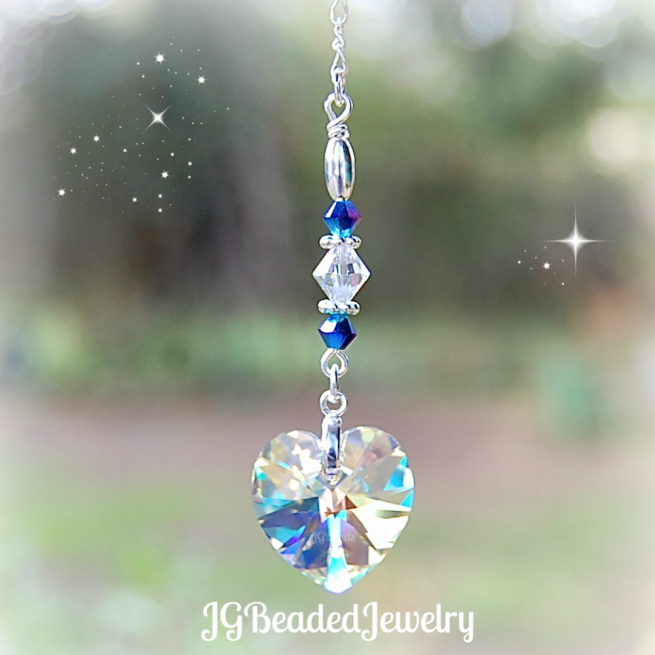 This flawless and precision cut iridescent Swarovski crystal heart measures 18mm and hangs on a silver bail with iridescent and iris blue Swarovski crystals along with fancy silver metal beads. 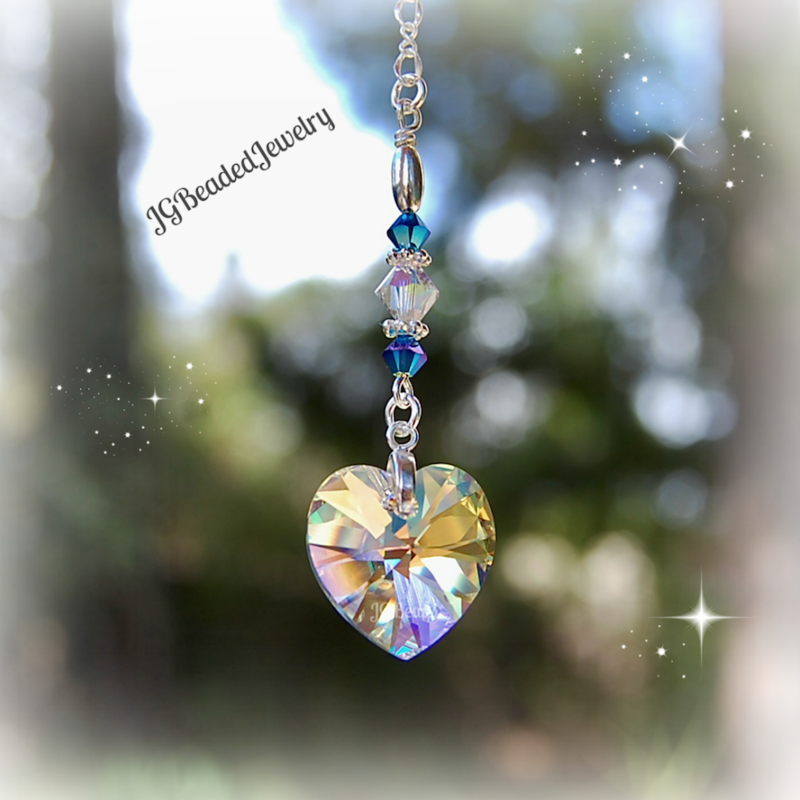 The back side of the heart has an aurora borealis finish which creates the magical colors!